I don’t know about you but I always feel very sad when I see a bicycle has been degraded. I know I shouldn’t, that they are just things after all but I have become so addicted to bikes since early childhood that I can’t help it. 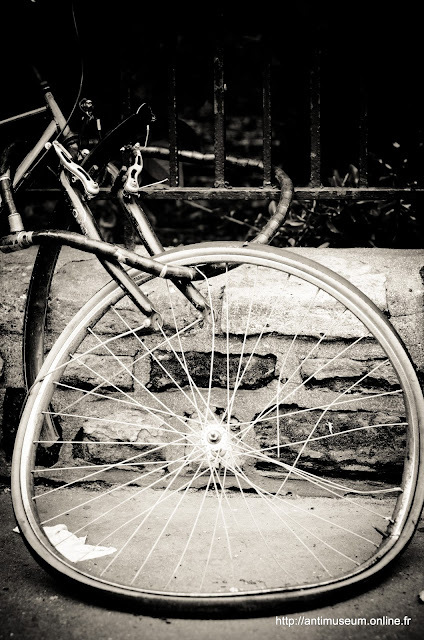 So I took that picture of a destroyed front wheel of a bike still chained to a railing opposite Notre Dame in Paris. How sad the owner will be when he or she sees this!